Founded in 1998 by Trevor Dash, First Appraisal Services is backed with 20 years of industry experience. Kevin Terao, a certified appraiser has been on board for the last five years. First Appraisal Services provides top-notch professional real estate appraisal services in King, Snohomish, Pierce and parts of Island and Kittitas counties. We offer all types of appraisal services where your complete satisfaction is always our highest goal. Along with great customer support - a combination that can't be beat! Through our commitment, experience, and expertise First Appraisal Services has established a business relationship with our customers that will last a lifetime! First Appraisal performs real estate appraisals of residential and 1-4 unit income properties for local and national banks and mortgage companies. 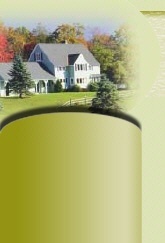 We specialize in purchase, refinance, income property and review appraisals. We also perform appraisals for direct consumer uses such as for PMI removal or divorce and estate settlement purposes. Call First Appraisal Services at (425) 556-0404 today!